On April 24th Darin flew straight to Helsinki to promote his new album Exit. There, he had a little concert for NRJ Finland and finally they have uploaded it on Youtube! He performed six songs during the session but, as some fans politely pointed out, just four of them are shown in the video: Breathing Your Love, F Your Love, Check You Out, Playing With Fire. Step Up and Same Old Song have been left out. 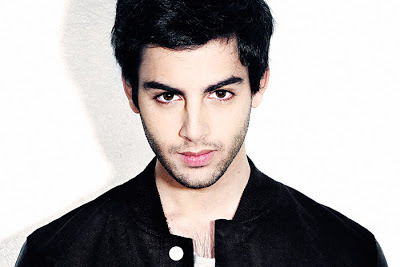 Just so you know, it's not the first time that Darin takes part in a NRJ event in Finland. In 2006 he performed "Step Up" at the NRJ Radio Awards (where he won the Best Nordic Song award for the song he performed on stage) and he also appeared at NRJ In The Park where he sang a song called "Explain" together with the singer Jonna. Enjoy last week's gig right below! Är du dum? Fattar inte du? Jag var där, han sjöng Breathing Your Love, Same Old Song, F Your Love, Playing With Fire, Check You Out, och Step Up. Dem har inte laddat upp hela showen. IM NOT DEFENDING HIM/Her but live session was made for all teh songs not for just one so they're practically misleading those ppl,declaring that its full. We're not trying to mislead anyone here. Since the show was one week ago, we couldn't remember perfectly how many songs were played during the live session. As you can see, those four performances only are shown in the video. Therefore, we're sorry if you felt offended by us not writing the exact setlist. We always try to do our best. Thank you for pointing it out, we will correct right now.